Open source software platform Ubuntu has ended an ambitious six-year project called Unity that aimed to unify the way that people used its products. Work has also ended on versions of its software that was designed to run on smartphones and laptops. 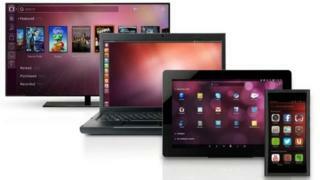 Ubuntu said it took the decision because the project had failed to win over users and industry partners. Instead, it said, it would concentrate on code for cloud services and internet-of-things devices. The Linux open source operating system exists in lots of different versions or "distributions" that share the same source code but often have a different interface laid on top. Unity aimed to be a graphical front-end suitable for lots of different devices. Canonical, which makes the popular Ubuntu distribution of the Linux open source software, started the Unity project in 2011. The ultimate idea was to produce software that ran on large and small devices and could be used the same way on all of them. The Unity project also aimed to let smartphones act as a desktop machine when combined with other devices such as docking stations. However, said Canonical boss Mark Shuttleworth in a blog, although Unity tried to end some of the fragmentation in the open source world it actually ended up contributing to it. In addition, he said, few people had bought phones or laptops that ran the Ubuntu/Unity combination and few laptop makers were offering the software as an option. Mr Shuttleworth said that Ubuntu would switch back to the default user interface for Linux - known as Gnome - in April 2018. He said the decision to end Unity had been "very difficult" because he believed strongly in ways to make it easier to use Linux anywhere and everywhere and because of the time he had spent with the developers working on it. "We feel like a family, but this choice is shaped by commercial constraints and those two are hard to reconcile," he said.